This commentary is being written at a time when we are faced with the prospect of lower growth, persistent inflation, higher interest rates and a weak rupee. Our anti-inflationary policy in the recent months has been based on the belief that price shocks may start from the supply side, but these cannot persist in the absence of a rise in demand scenario. 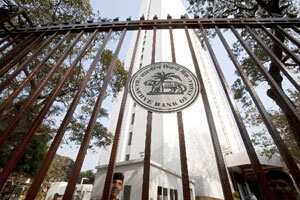 Consequently, the Reserve Bank of India (RBI) feels there is a need to cool down the demand side of the economy. A series of 12 rate hikes since March 2010 is indicative of this belief. Nonetheless, inflation in Wholesale Price Index on a year-on-year basis during the first half of fiscal 2012 was 9.6%. This made us investigate as to whether nominal interest rate hike impacts inflation or the causation is the other way round. Contrary to popular belief, causality test (Granger) tends to indicate nominal interest rate causes inflation. Further analysis indicates that this relationship is positive. At this stage, the basic question one needs to ask is whether this remedy of interest rate hikes is the cause of inflation persistence. Our initial results tend to confirm this. Should we go for more rate hikes, inflation persistence may get further accentuated. This brings into question the logic of continuous rate hikes. The impact of a series of rate hikes is higher debt servicing obligation for the government and subsequently higher budget deficits, which in its turn will lead to another round of increase in government’s financing cost. Given the fact that even well-rated corporates often borrow at 150-200 basis points above a long-term government bond rate, their borrowing cost would go up. One basis point is one-hundredth of a percentage point. For small and medium scale industries which provide the crucial employment linkage, the cost will be even higher. To this will be added higher raw material cost which are getting increasingly determined by global factors. The third factor that gets added to this is higher transaction cost. All these will lead to a squeeze in margins. As if that is not enough, uncertainty about future policy and land acquisition are leading to postponement of projects. Early signs of this unfortunate development are getting reflected in the deceleration of manufacturing output. So we are landing up in a situation where one has persistence of inflation and near stagnation of industrial output. The inflationary problem can get further aggravated as the increase in prices may not bring down demand as wages are rigid downwards; further income increases through the rural jobs guarantee programme and the Sixth Finance Commission are autonomous. At the same time, such autonomous shifts do affect the unorganized labour market and private sector wages positively. Consequently, consumption and prices continue to rise. A liberal fiscal regime based on higher government revenue expenditure predicated by political priorities and a contractionary monetary policy based on rate hikes can land us in a period of persistent inflation.